Some devices such as powerline may have sleep mode which can prevent lease renewal since sleep mode doesn’t always wake up on outbound messages. Device and network topology affects these outbound messages. The government likes/requires sleep mode/idle on most devices as a power saving mechanism. And on many devices it can’t be disabled. Many of the manufactures forums are littered with complaints about sleep mode. I prefer “sleep” to mean forever shutdown… let’s call it “resting”. e.g. Google “whatever” has now gone to sleep. Regrettably, I live in California where the state government is worse then the federal government. And like an invasive species it’s ideology has spread to local government. It could use a long and somewhat permanent sleep mode. Where do you find a SATA 2.5 8TB internal hard drive? Do they even make them? I’ve never seen one, but I’m sure it’s only a matter of time. 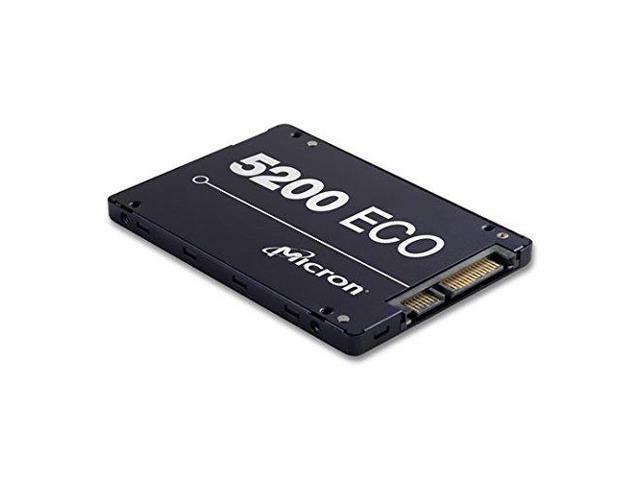 Buy Micron 5200 Series MTFDDAK7T6TDC 7680GB NAND Flash SATA 6Gb/s 2.5-Inch | 3M Hour MTBF Self-Encrypting Drive | Data Center Solid State Drive (SSD) with fast shipping and top-rated customer service.Once you know, you Newegg! I’d gladly pay $1,200 for 8 TB, but that’s only 7.6 TB, so no deal! I think I was more trying to make a point. Everyone one is talking about 8TB and having a internal hard drive by upgrading their Tablo to a Quad. Look at the recommended specs and then look at what cost effective storage falls into those specs. Then weigh out if the Tablo Quad is worth the upgrade. Tempted to get the new one and test them side by side and see if the Quad solves those issues… Not sure if it’s worth the $199 gamble though… At least the lifetime guide will forward to the new one. Can;t you have strong signal strength without good signal quality? Yes, but I’d thought that the channel scan data displayed took both into account when determining Green vs Orange vs Red? Or am I misremembering? I’d hope that the improved, if it really is improved, tuner in the new Quad could solve the issue? Like I said, debating if it’s worth a $200 gamble. Being tech support for the parents adds a wrinkle to it to be sure. Some annoyances I could easily shrug off they may not? Don’t the signal meters displayed by most TV’s only display signal strength. Signal quality can fluctuate minute to minute. When signal strength is displayed as strong with intermittent channel issues maybe it could be antenna direction, amplification, proper antenna, or even LTE interference. TV doesn’t have any meter/signal display, going by what the Tablo reports, and had thought it took S/N into consideration? You are correct that this can change constantly, but I have run these scans repeatedly at different times of day on different days of the week to the point where I’d like to think that the stations always showing green should be able to be trusted and not fail to record due to “weak signal”? But, you could be right? Pretty much all of the issues you list above have been addressed over countless hours sweating in parents attic? Have LTE filter, though of all things that shouldn’t be an issue, as cell service in the area is abysmal? Direction has been checked and experimented with repeatedly. Proper antenna? Free Signal TV Marathon seems to be a decent option besides one of the higher end Antop antennas or a home-made antenna? If I get the Quad, plan to use the current 4-tuner to test some homemade antennas and see if I can make one better suited for the specific stations I’m trying to pull in. And, yes, it could be interference? But, the failed recordings just don’t seem to line up with anything remotely obvious? At one point I was convinced it could be an issue with the irrigation pump. Tested and verified that that wasn’t a cause. Washer and Dryer also tested against recordings on different stations and cleared as possible suspects. Even checked to see if the convection oven they use when making homemade bread could be the culprit. If it’s something in the house, it isn’t something obvious. Again, where do I invest any additional funds and time to attempt to improve things? The same number of occasional failures would be a minor annoyance if it were me. Parents however… On one hand, the improved tuner in the Quad could be “better” enough to solve the issue? Or, if the issue is interference, could be $200 flushed down the drain. Why I’m calling it a $200 gamble. I have not kept up with ty his discussion but I seem to remember that the Quad will use the same tuners as the Duo. Has anyne tried the Duo side by side with the old 4 tuner? I’m not planning to replace my old 4 tuner unit unless I’m able to confirm there are upgraded tuners in the new model. There are new / different tuners in the new Tablo QUAD. As to whether they are an “upgrade”, that is subjective at best. If you’re having signal issues, I doubt the new tuner would help you given there is still an internal 1x4 splitter. Likely better to get a bigger and better OTA antenna.